Don't wait! Your registration must be received by April 30! Shirts will be included to all paid registrants along with other goodies! There is no fee for children under 13 to register, but if you would like to purchase a child's shirt, or any additional shirts, the cost is $10. $10 Additional t-shirts are available for children under 13 who are participating as well as anyone who would like to order in advance. In consideration of acceptance of this application and my being allowed to participate in the above Event, I, the undersigned, assume all risks associated with running in this Event, including but not limited to falls, contact with other participants, the effects of weather including extreme cold, snow, ice, rain, traffic conditions of the road, and all such risks being known and appreciated by me. Having read this waiver and knowing of these facts, I for myself, my heirs, executors, administrators’ and anyone entitled to act on my behalf, hereby waive, release and give up any and all rights and claims to damage I may have against, and agree not to sue The Dylan Flinchum Rock On Foundation, its representatives, employees, officials, including elected officials, consultants or volunteers, all sponsors of the Event, and any others involved in the event for The Dylan Flinchum Rock on Foundation’s behalf, and their heirs, successors and assigns, with respect to any and all liability, claims, causes of action arising out of, or related to, any bodily injury, illness, death or property damage I suffer in connection with the Event, even though the liability may arise out of negligence or carelessness on the part of the persons or entities named in the waiver. I confirm that I am in physical condition to participate in this Event. 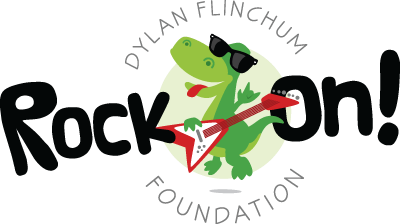 I agree to abide by the guidelines established for the race by The Dylan Flinchum Rock on Foundation, or their representatives. I grant permission to all of the foregoing to use any photograph, motion pictures, recordings or any other record of this event for any legitimate purpose. I ACKNOWLEDGE THAT I HAVE FULLY READ THIS FORM, AND FULLY UNDERSTAND THE TERMS AND CONDITIONS CONTAINED HEREIN, AND UNDERSTAND THAT THIS WAIVER AND RELEASE IS A RELEASE OF ALL CLAIMS.